How to bring out the best in the Millennial generation? Millennials want a lot: a job that absorbs and challenges them, flexible working conditions, ample recognition of their contribution and a role in which they can make their mark as individuals. But, for all their sophistication, it seems that Millennials also respond surprisingly well to boundaries, structure and good old fashioned “carrots” like gold stars. Bruce Tulgan, founder of management consultancy Rainmaker Thinking, and author of Not Everyone Gets a Trophy: How to Manage the Millennials, gives an example of a manager running a team of young computer programmers. The manager diligently provided feedback in group meetings and couldn’t understand why the programmers kept coming to him individually for affirmation. He jokingly asked if they wanted gold stars and was amazed when the answer was unequivocally yes. Millennials are often highly competitive and like to know exactly how rewards are won. Second wave Millennials (those born roughly between 1990 and 2000) often get a bad rap for being tricky to manage. For them, the idea of having a job for life is both unthinkable and undesirable, so the old rules that kept the rest of us in line don’t apply. This doesn’t mean they are any less engaged than previous generations. They just look at work differently. Baby boomers and Generations X and Y grew up believing their role was to fit into the workplace. Millennials believe the workplace should fit in with them. Understanding their mindset and managing them accordingly is the best way of getting the most from Millennial talent. If you try forcing old operating models or the traditional hierarchy down their throats, they will respond by doing what Millennials do – leaving. Hiring raw young talent is a bit like playing lucky dip. You can end up with a gem – or someone who dismally fails to meet expectations. With little or no work experience behind them, you don’t have a lot to go on with young hires, so the job interview needs to be more about divining what makes the person tick than what’s on their CV. “Because they grew up overly supervised and constantly rewarded by their parents (who treated them as equals), Millennials will never be content to labour obediently in a sink-or-swim environment,” says Tulgan. Millennials like to express themselves, and Tulgan suggests getting a measure of their potential by letting them loose on a project. Asked whether handing out points or gold stars is the way to go with Millennials, Tulgan says. “If you can think of easy ways to convert the performance you need into a points system, then maybe you should consider it. A points system will get Millennials focused like a laser beam. “But such systems are not always necessary. You will get a similar result if you make it clear that you are paying close attention and keeping score. Another approach is to help them keep track of their own work by using self-monitoring tools like project plans, checklists and activity logs. They can monitor whether they are meeting the goals and deadlines and report to you at regular intervals.” Tulgan believes that those who pander to Millennials have it all wrong. “The high-maintenance Millennial generation workforce calls for strong leadership, not weak,” he says. 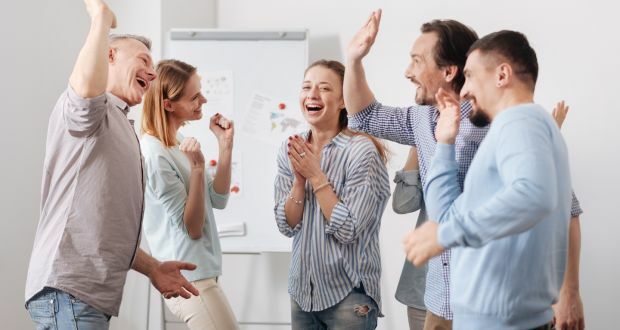 “Managers should never pretend a job is going to be more fun than it is; never suggest a task is within the discretion of a Millennial if it isn’t; never gloss over details; never let problems slide and never offer praise or rewards for performance not worthy of them. Instead, spell out the rules of the workplace in vivid detail.